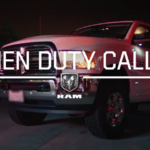 The 2019 Ram Heavy Duty pickup truck is the most capable heavy-duty pickup truck ever1. There are few times in my career at FCA I remember being as excited about a group of new vehicles as I am now about the New 2019 Ram Heavy Duty lineup (Ram 2500/3500/4500/5500). Here’s why. For model year 2019, our team pulled together to create a heavy-duty work truck that breaks new ground in almost every category of capability and performance. Anyone in business knows the satisfaction that comes from successfully executing a plan or strategy, especially one on a scale of this size. 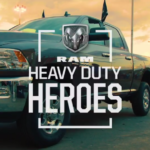 More importantly, the 2019 Ram Heavy Duty is poised to help fleet customers and small-business owners take their day to day operations to the next level. Need more torque in your work trucks? When equipped with the available, legendary 6.7L Cummins® Turbo Diesel I6 engine, our new Ram 3500 achieves a never-before-seen torque rating of 1,000 pound-feet2. Need more towing capability or payload capacity? The Ram 3500 has a 35,100-pound diesel-engine towing capacity and, when equipped with the iconic 6.4L HEMI® V8 engine, a 7,680-pound gasoline-engine payload capacity, both best in class2. For the fleet manager or business owner who knows to the dollar how much an additional trip to the jobsite costs, every extra pound of payload or towing capacity means real savings toward the bottom line. Professionals in need of dump beds, bucket trucks or other upfits should know that the 2019 Ram 3500, 4500 and 5500 Chassis Cab models enjoy comparable upgrades. 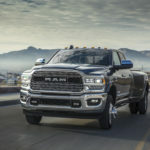 Most notably, thanks to frame and power plant improvements, the 2019 Ram 5500 Chassis Cab leapfrogs the competition in several key performance categories, including available diesel towing (35,220 pounds3), available gross combined weight rating (43,000 pounds3) and maximum available payload capacity (12,510 pounds3). 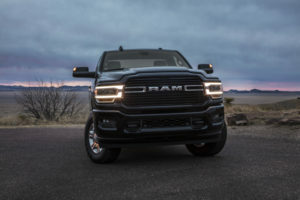 Not to be outdone, the All-New 2019 Ram 1500 more than holds its own against other light-duty trucks. Thanks in part to the North American Truck of the Year award, one of many recent additions to the trophy case, the Ram 1500 is now the most awarded light-duty truck in America4. 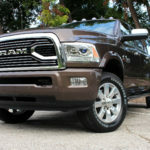 Whatever class of truck is right for you – half-ton, heavy-duty pickup or chassis cab – I hope it’s a Ram Truck that eventually helps drive your business to success. Jeffrey Kommor is Vice President – U.S. Sales Operations, Fleet and Small Business, FCA US LLC. He is responsible for sales planning and incentives, retail sales promotions, dealer relations, field operations for sales, small business sales and Certified Pre-Owned Vehicle sales for all FCA US brands. He has been with FCA since 1985. 1Capability based on Best-In-Class Towing, Torque, and Payload. Class based on 250/2500 and 350/3500 pickups. 2Class Based on 250/2500 and 350/3500 pickups. 3Based on Class 5 Pickup-Based Conventional Cab Chassis. When properly equipped. See dealer for details. 4Based on awards within the light duty pickup segment from January 15, 2018 – January 1, 2019.